Wow, I would totally take this train. 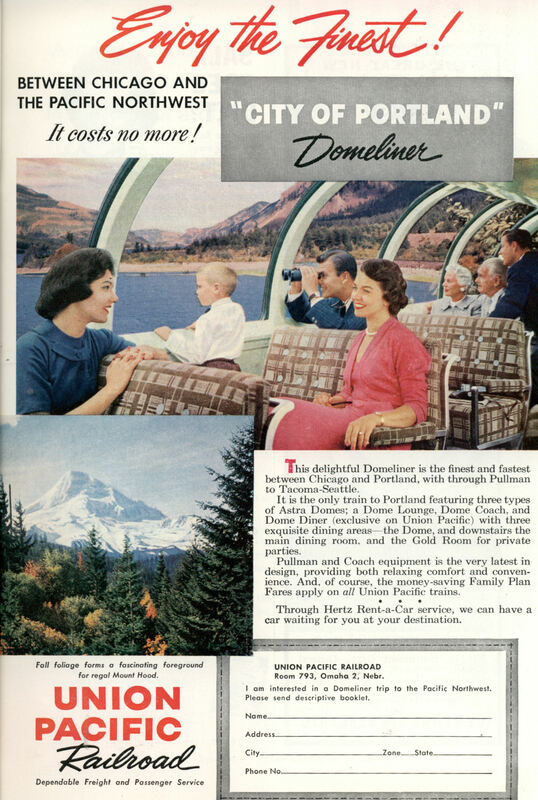 This delightful Domeliner is the finest and fastest between Chicago and Portland, with through Pullman to Tacoma-Seattle. 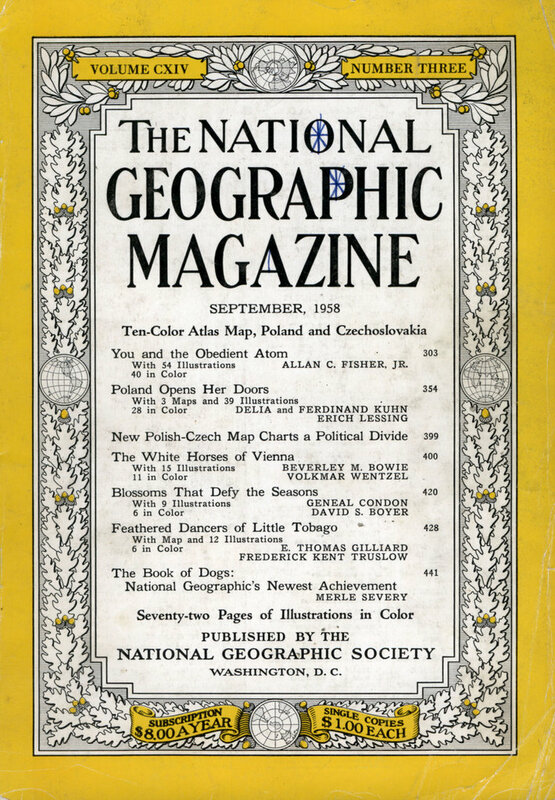 It is the only train to Portland featuring three types of Astra Domes; a Dome Lounge, Dome Coach, and Dome Diner (exclusive on Union Pacific) with three exquisite dining areas—the Dome, and downstairs the main dining room, and the Gold Room for private parties. Pullman and Coach equipment is the very latest in design, providing both relaxing comfort and convenience. And, of course, the money-saving Family Plan Fares apply on all Union Pacific trains. Through Hertz Rent-a-Car service, we can have a car waiting for you at your destination. I love riding the train and recommend it to every one! ahhh yes, the viewing cars! took one from los angeles to sacramento, ca. 14hr up the coast, and worth every second. i also highly recommend the train vs other means of transportation, if you have the time!